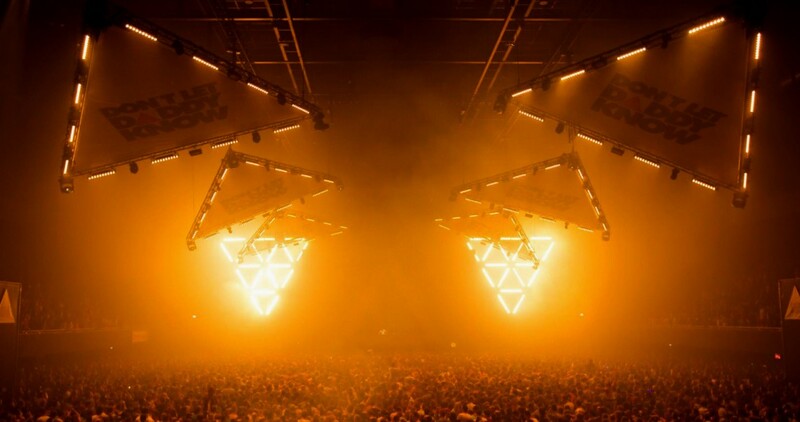 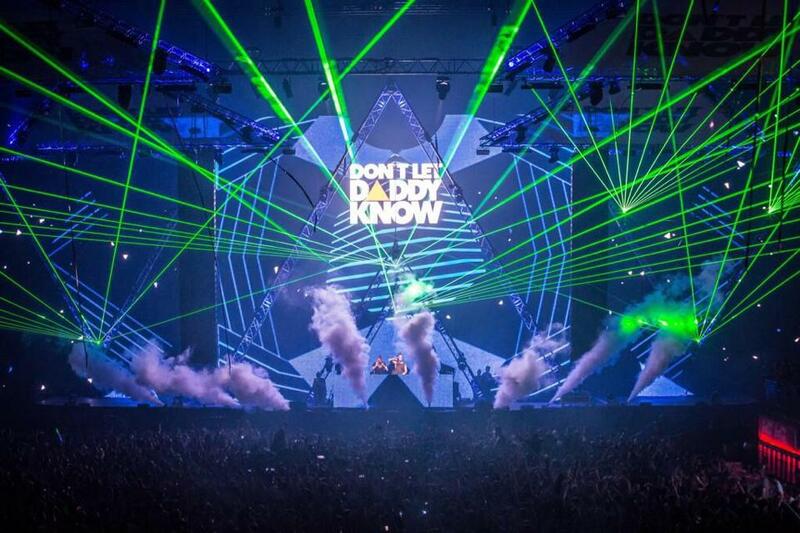 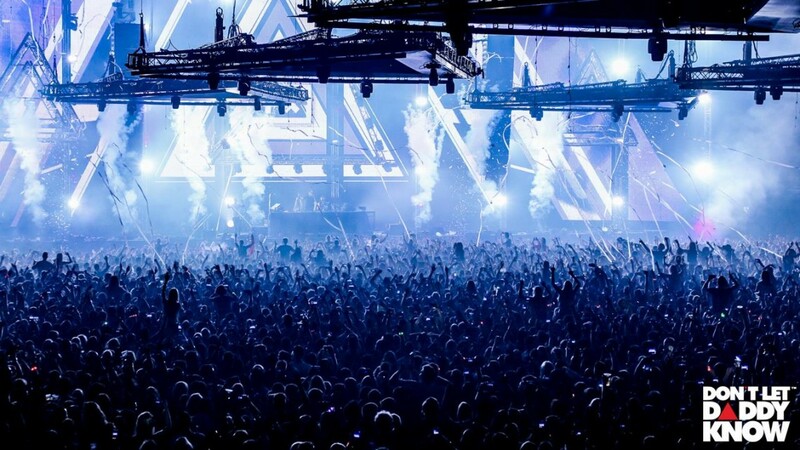 After an epic 2013 summer season in Ibiza, Don’t Let Daddy Know touched down at the massive Ziggo Dome in Amsterdam in March 2014. 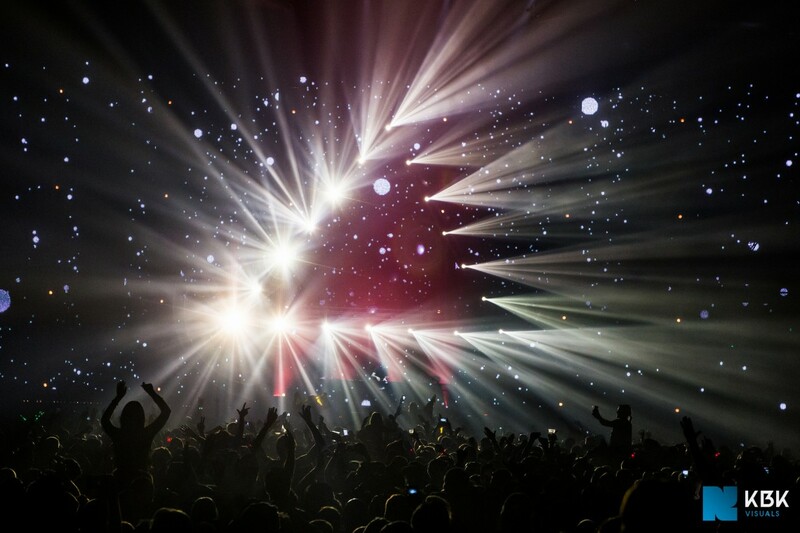 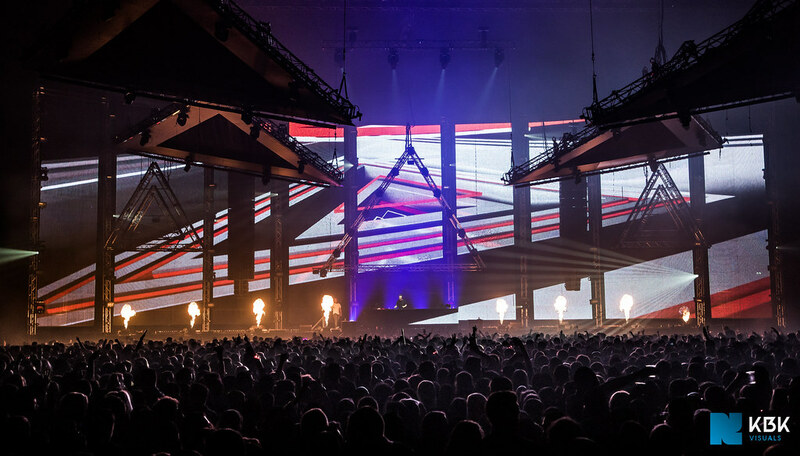 For this show we created six extensive stage-specific DJ announcements, all synced with sound, laser, pyro, lights and rigging kinetics by means of timecode. 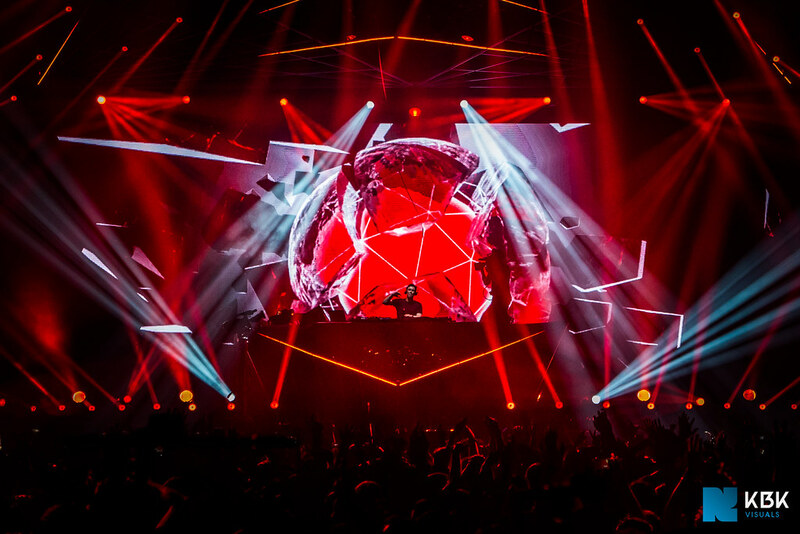 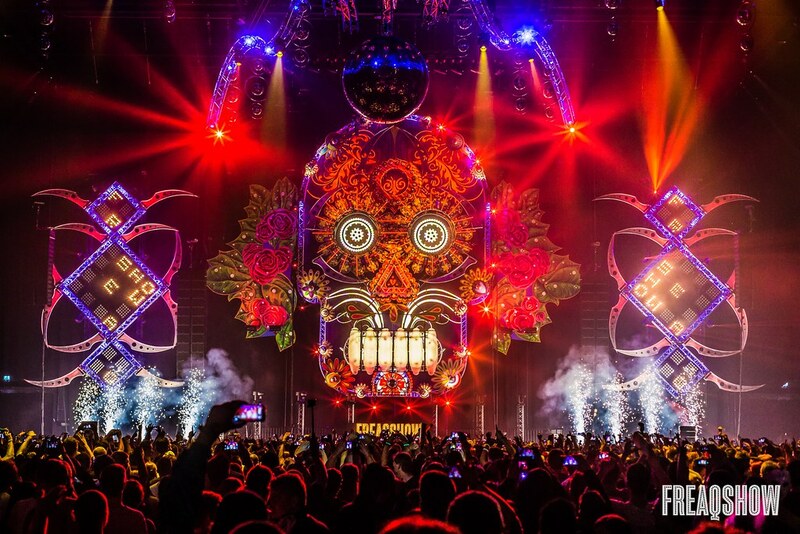 On top of this we produced a large pack of custom visuals that were based on the stage design and artwork. 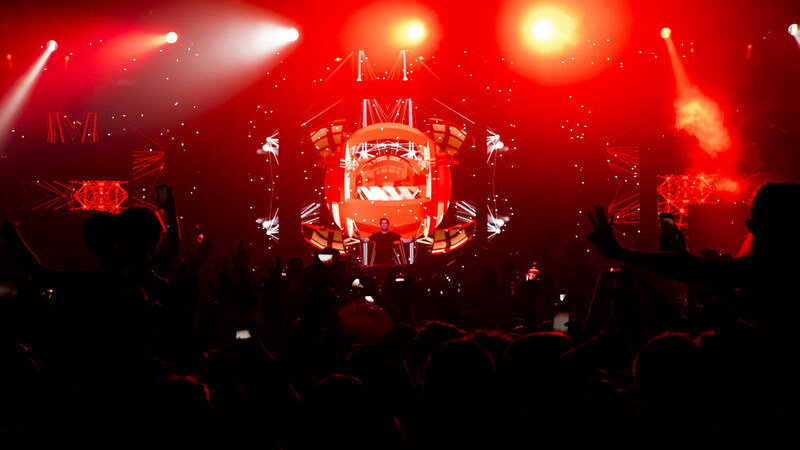 These visuals were put into action while operating the live shows. 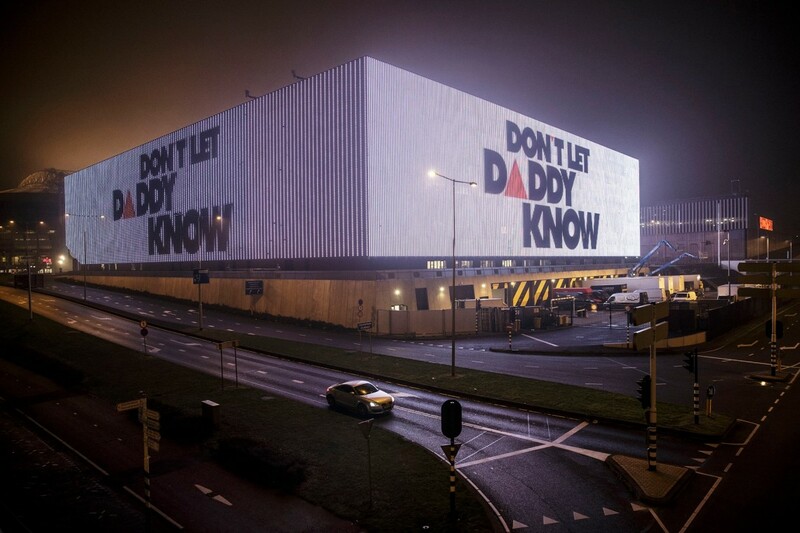 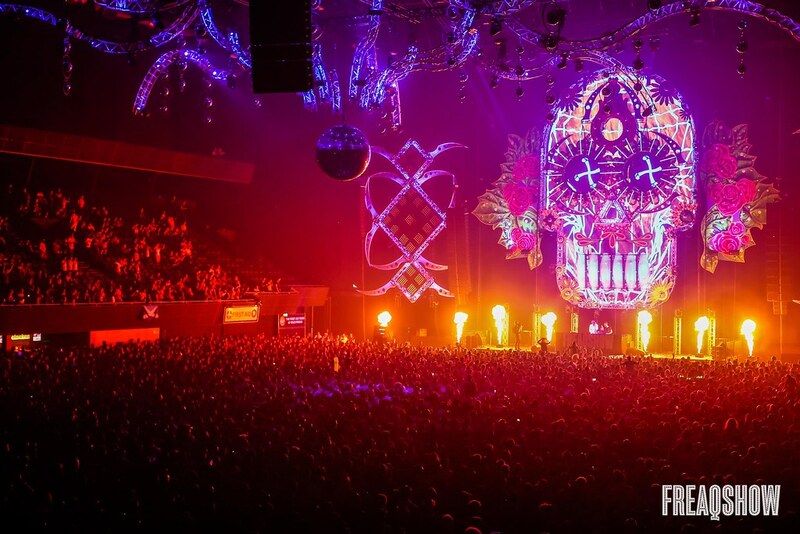 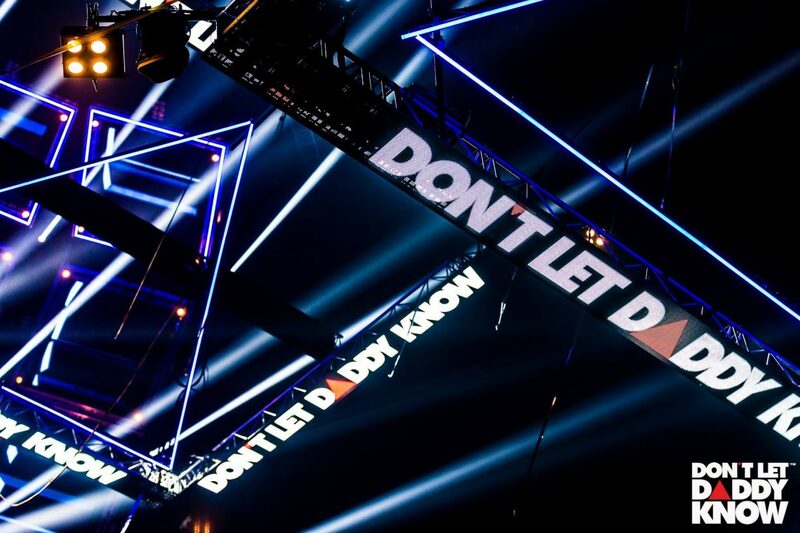 In February 2015 we hit Ziggo Dome again with Don’t Let Daddy Know for the World Tour kickoff of that year. 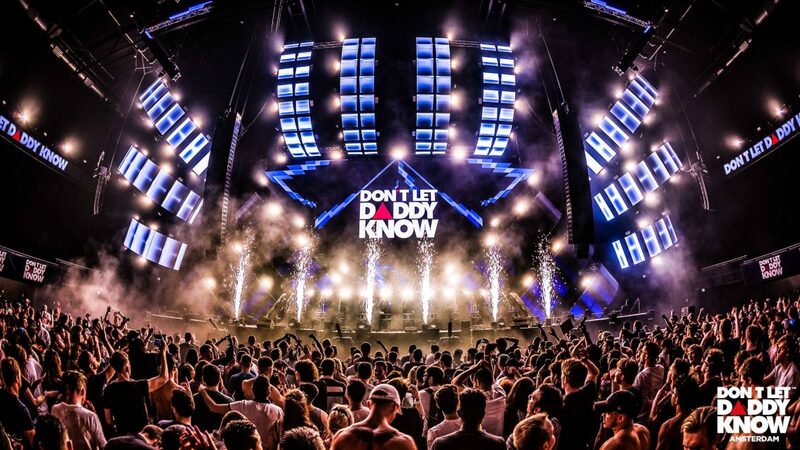 Throughout 2015 and 2016, and 2017 we travelled to Hong Kong, Macau, Mumbai and Bangkok with the DLDK crew and ended up back in Amsterdam for a 5 year anniversary weekender at Ziggo Dome in 2017. 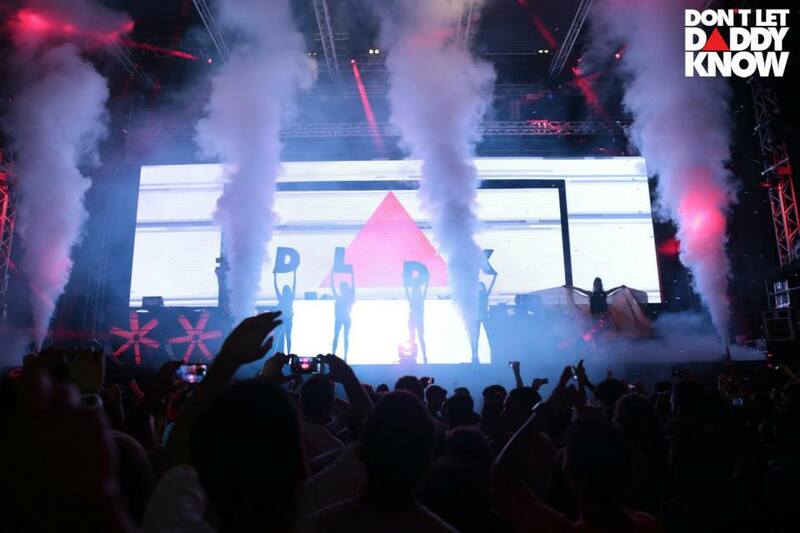 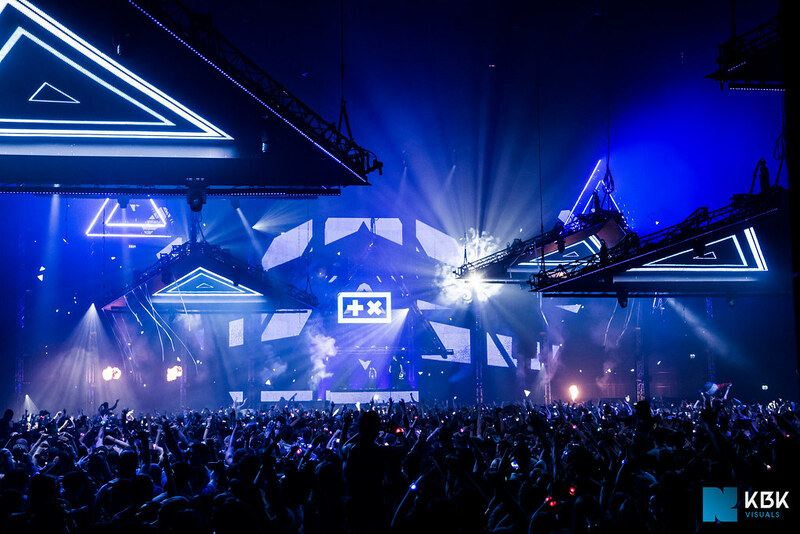 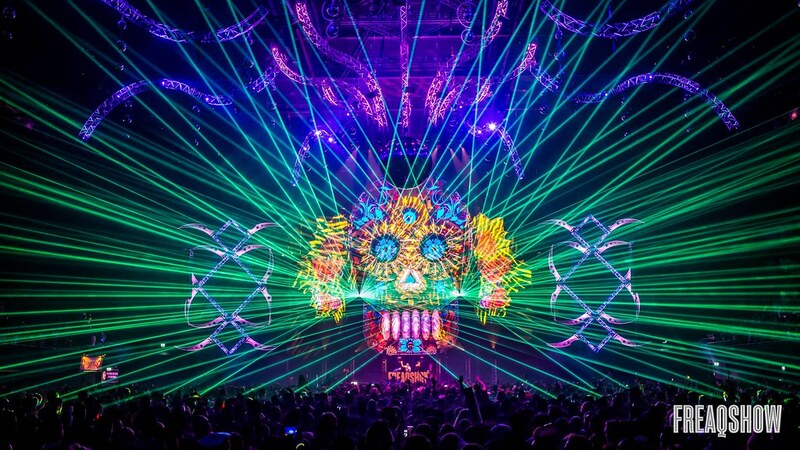 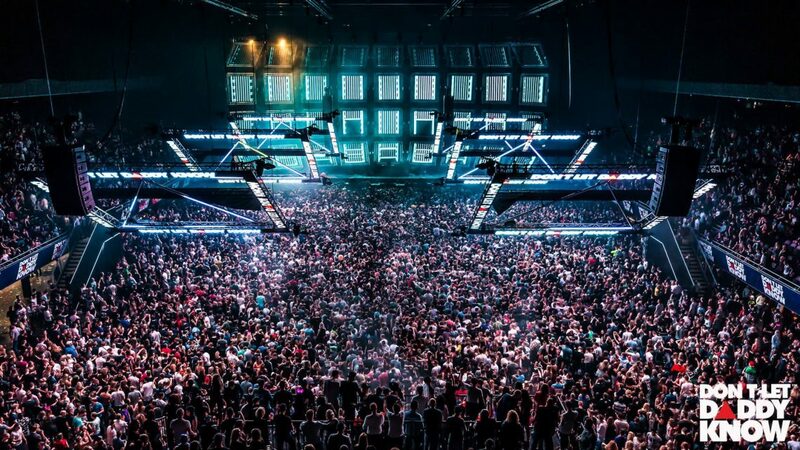 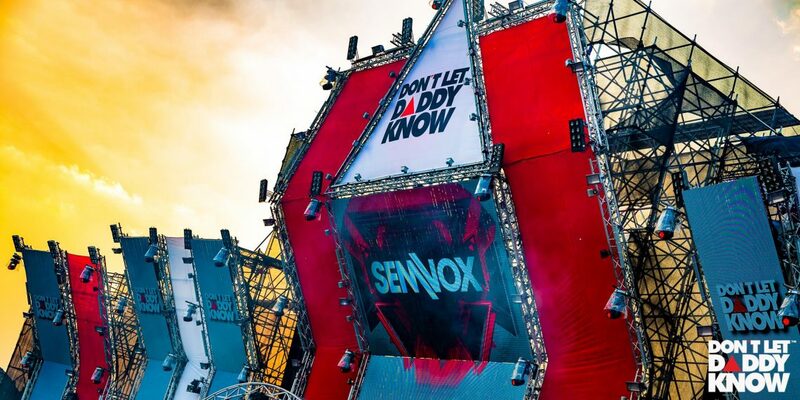 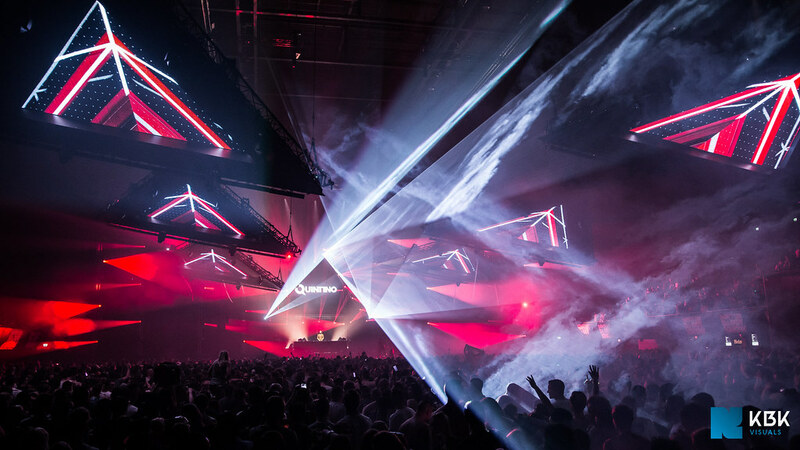 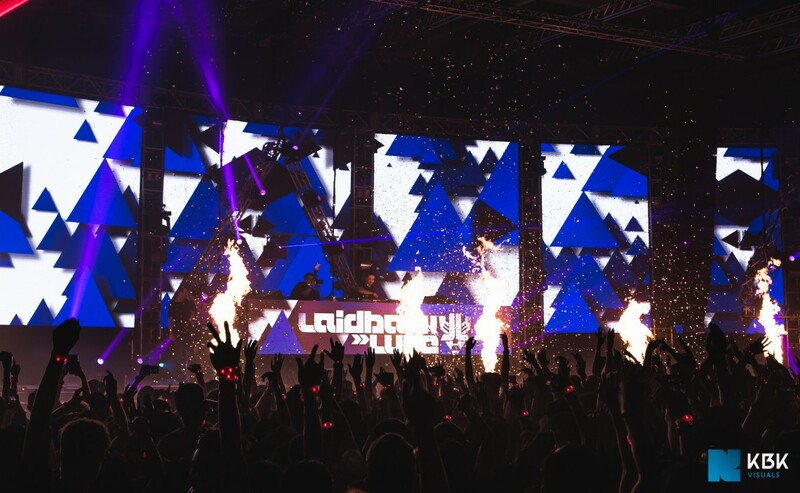 The DLDK weekenders that take place in March signify the beginning of a new world tour with that year’s fresh new concept, DJ intro videos and video content. 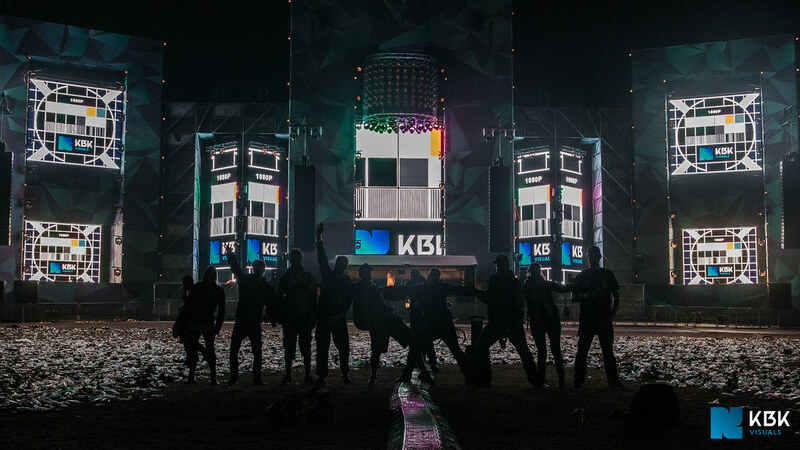 Check out the photos of the 2018 weekender here. 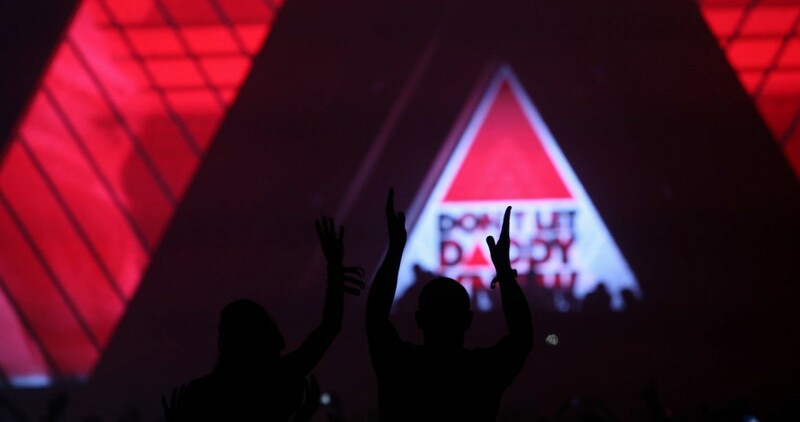 During the 2013 summer season in Ibiza, Don’t Let Daddy Know hosted a weekly night on Sundays at club Privilege. 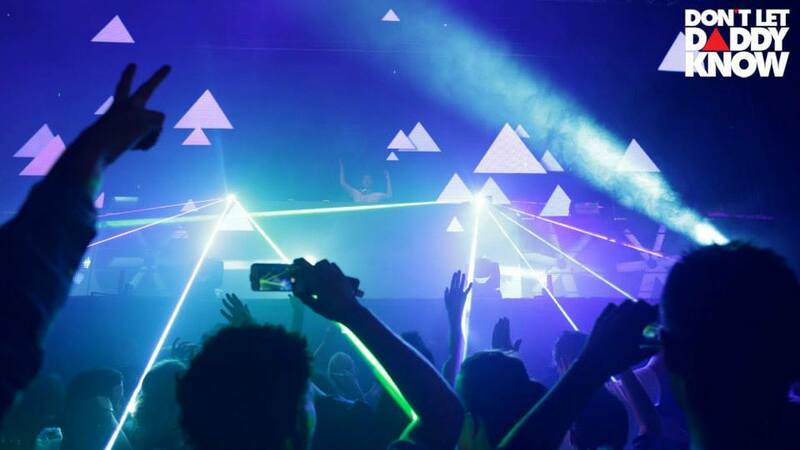 E&A Events asked us to operate the live visuals during those hot summer nights on a large LED setup consisting of various screens located onstage and throughout the club. 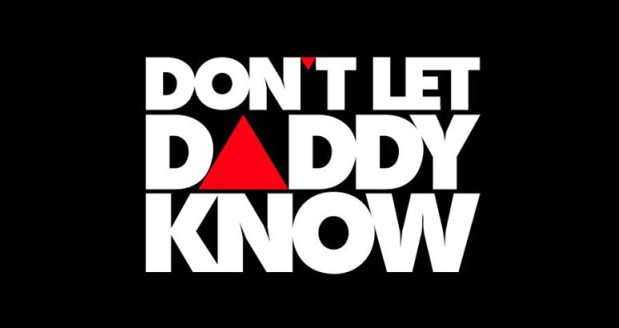 The custom visual package was entirely in the characteristic style of the Don’t Let Daddy Know concept and developed by Onesize. 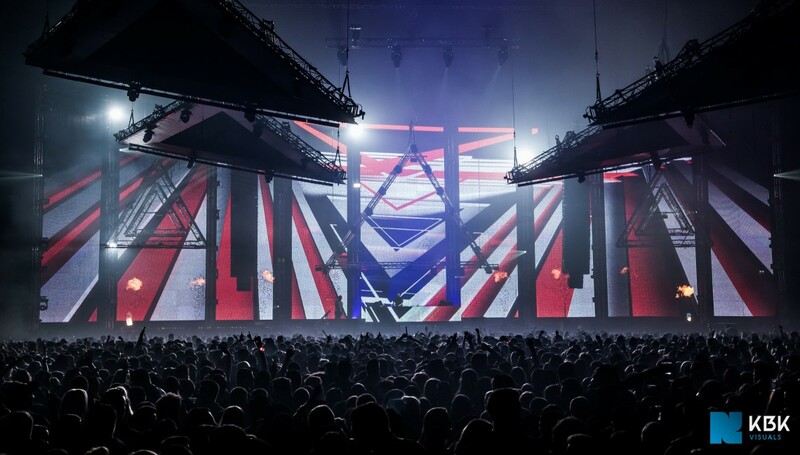 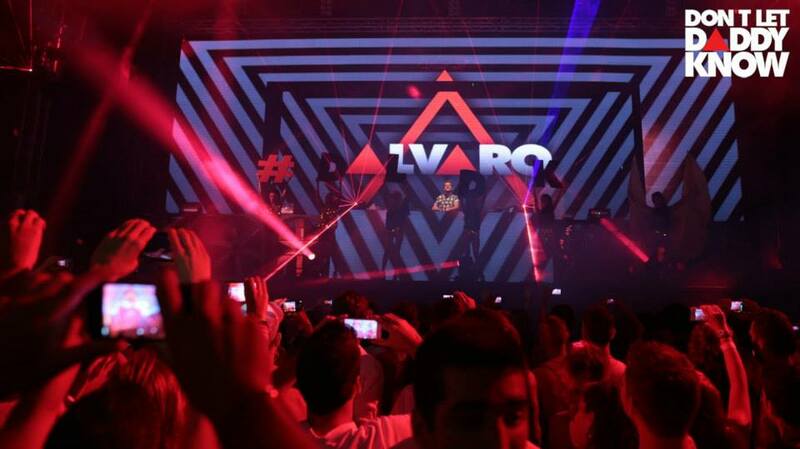 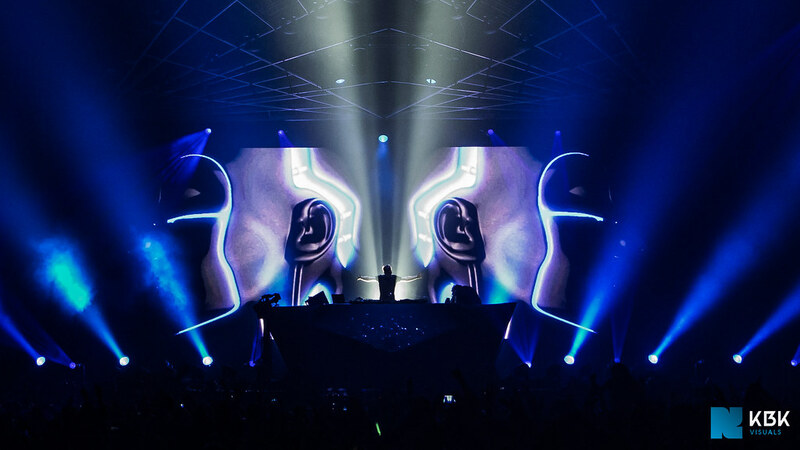 It was our responsibility to ensure the visuals were mapped seamlessly onto the screens and to compose an immersive experience along with the music played by key characters of the EDM scene, like Sander van Doorn and Deniz Koyu. 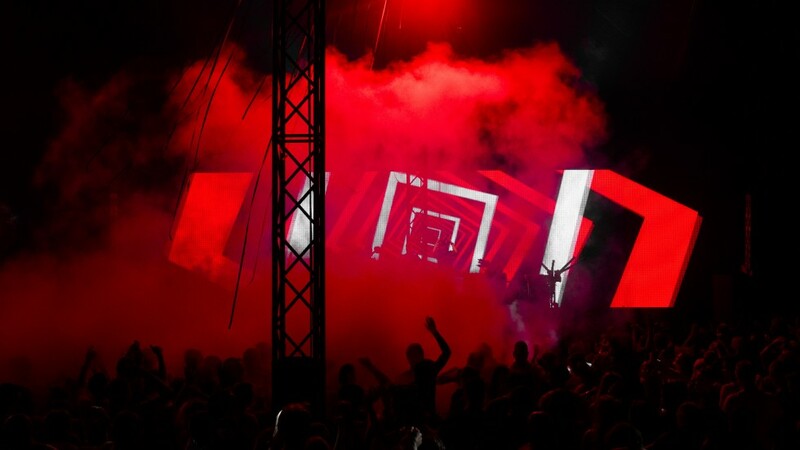 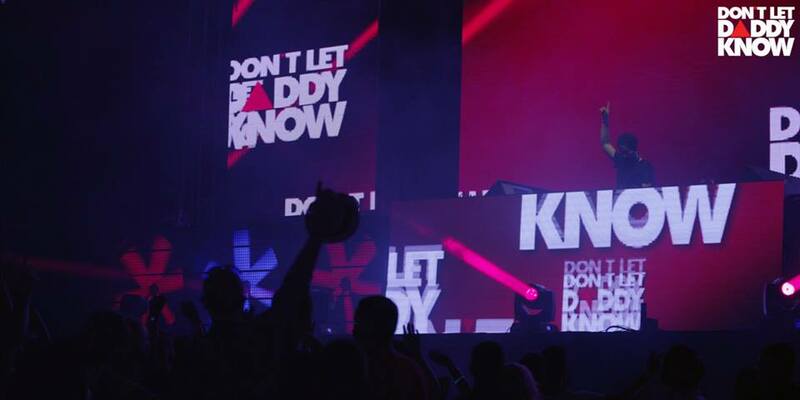 Between our weekly gigs in Ibiza, the DLDK concept visited NL at Mysteryland at the end of August 2013. 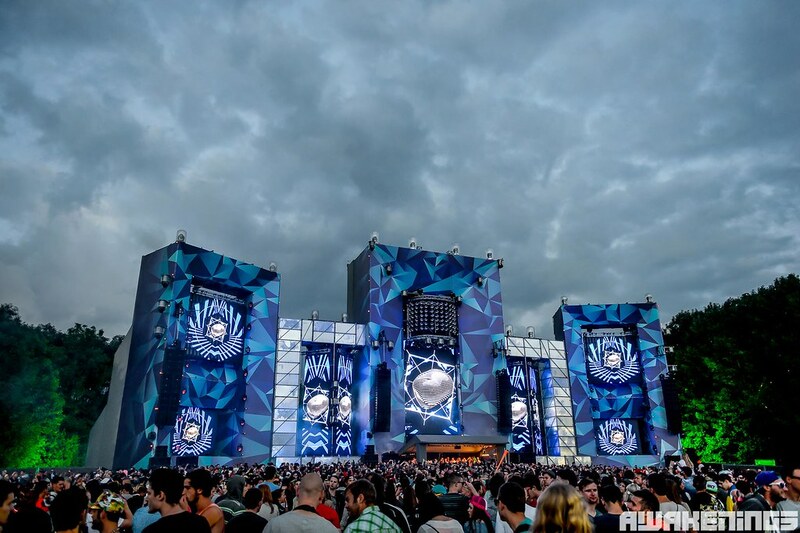 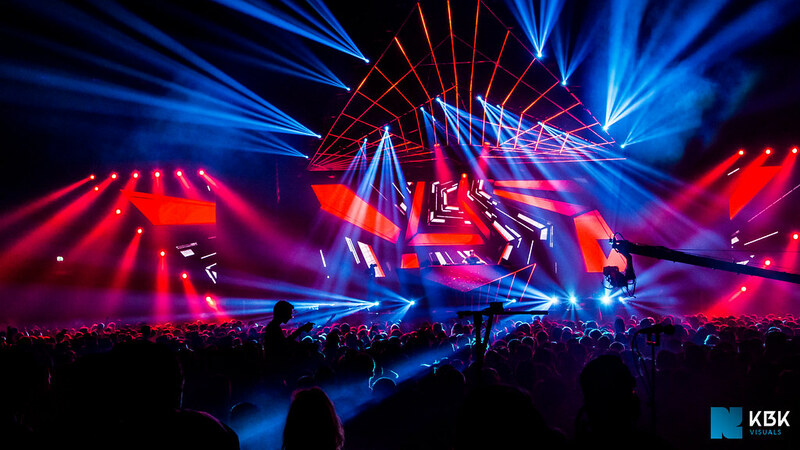 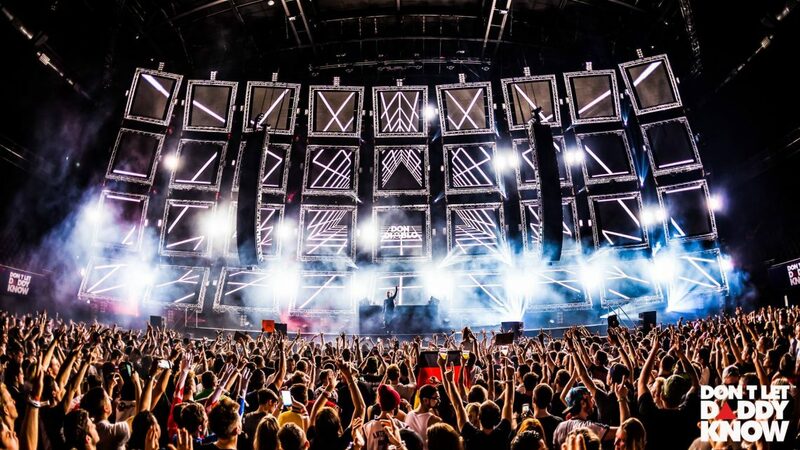 We had a panoramic wide screen to work with and the room was packed from start to finish… Have a look below to see what happened at Mysteryland 2013. 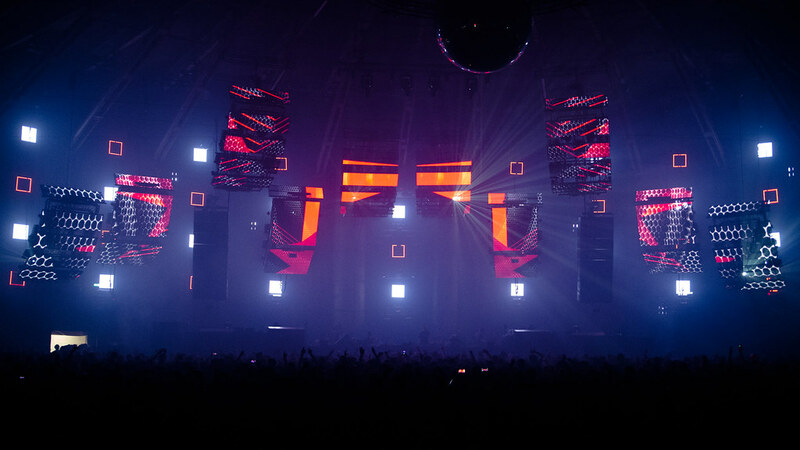 You can also find the complete high res photo collection here.